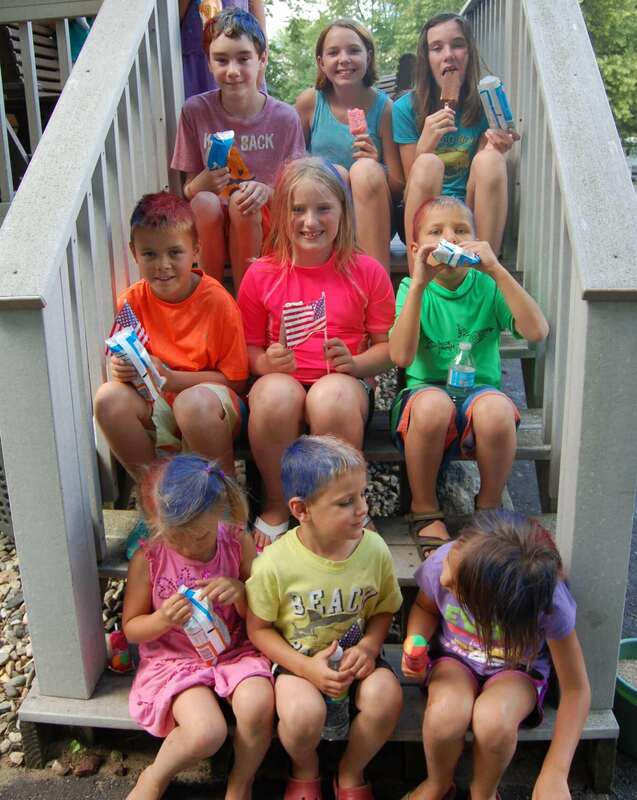 We’ve been hosting fun and memorable Minnesota family getaways since 1920! The past 100 years have given us the experience to make every detail of your Minnesota lake vacation memorable and relaxing! We are a family-friendly resort, operated as a family, and open all four seasons of the year. 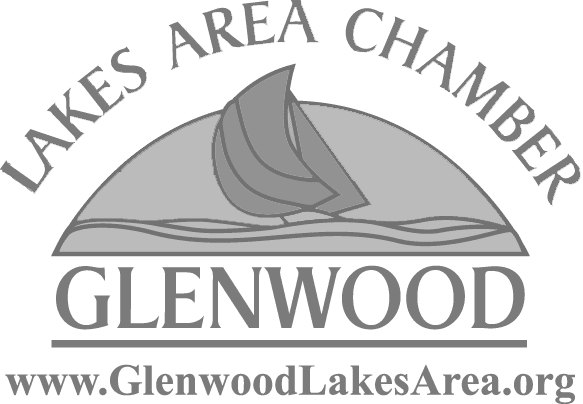 We offer ten comfortable and immaculate lakefront cabins and vacation homes set on a thousand feet of pristine, sandy shoreline along Lake Villard. 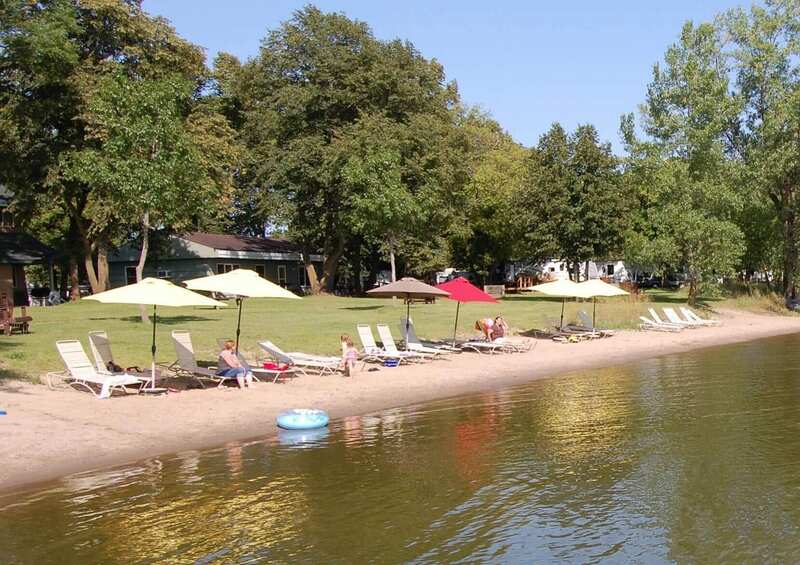 The Krafts & Olschlagers are the fourth generation of families to own and operate Canary Beach Resort, and have made it into the popular, award-winning year-round lake vacation destination that it is today. Our resort has been mentioned in Minnesota Monthly and AAA Magazine. We’ve also been featured in Lakes and Loons and in the Pope County Tribune, to name a few. 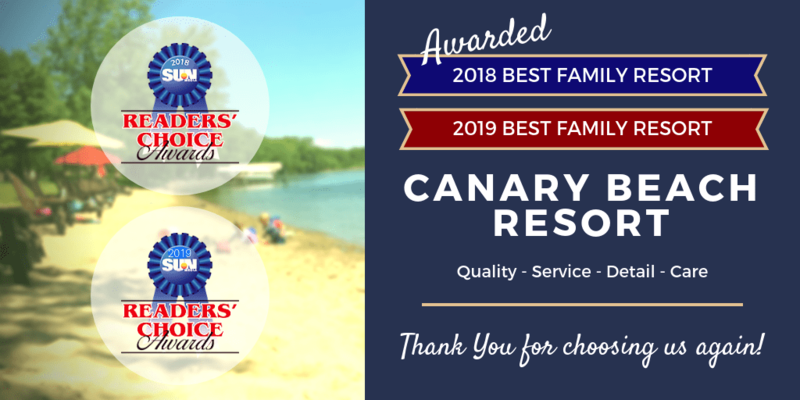 Canary Beach Resort is also the winner of the Minnesota Resort and Campground 2016 Resort Operators of the Year award, in recognition of our passion for excellence in hospitality. 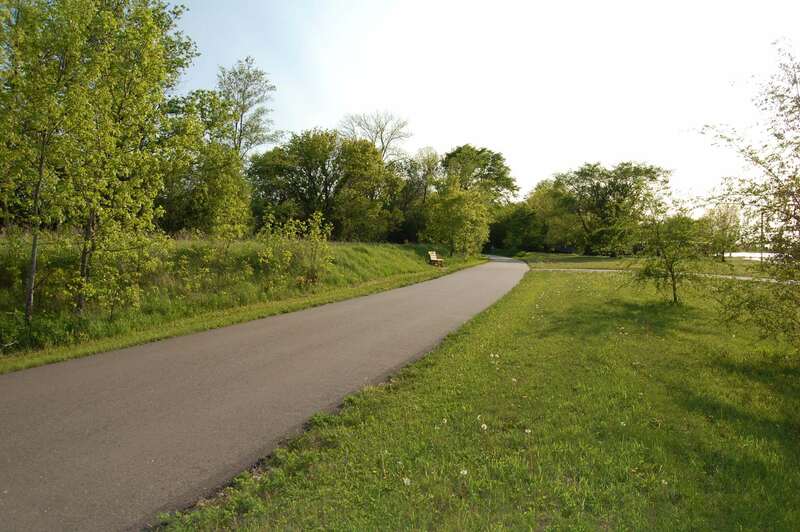 We take pride in maintaining our property and cabins so that you and your family can relax and enjoy your time at the lake. 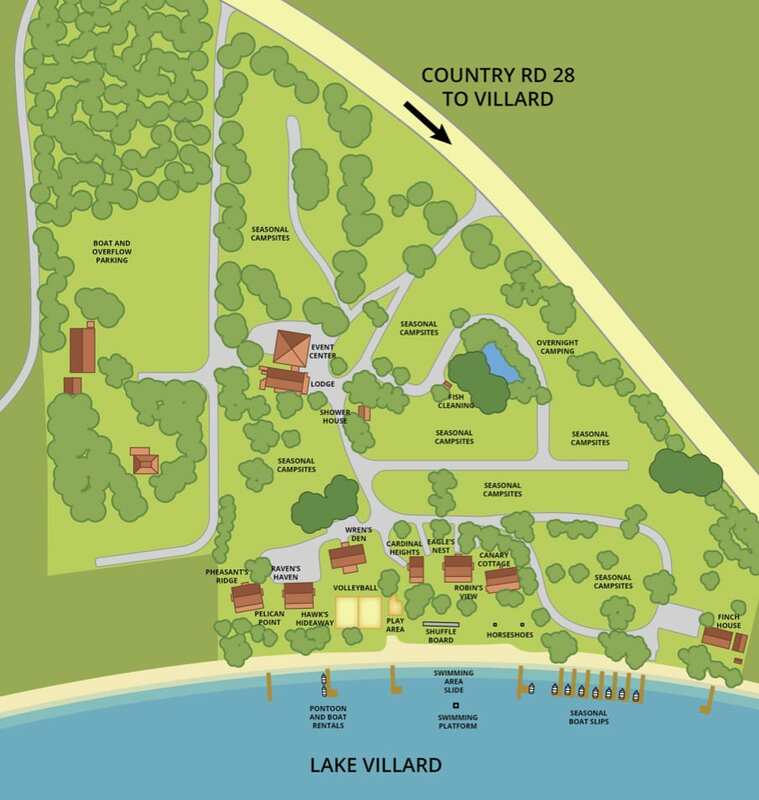 It’s our goal to make our place at the lake your place at the lake! Why do our guests keep coming back to Canary Beach Resort? 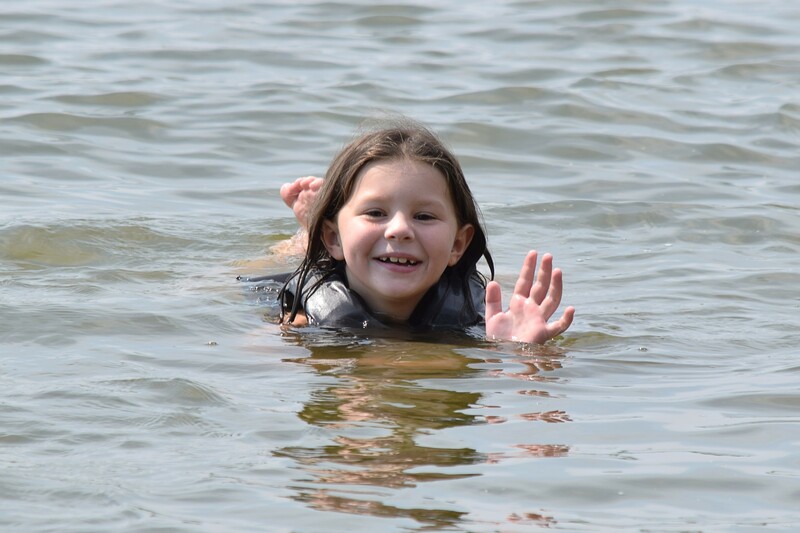 Our priority is to ensure your family has a relaxing and memorable lake vacation! We strive to provide our guests with a clean and safe atmosphere, while offering much more than we promise or advertise. We are a family operated business — we know how your family wants to be treated and know how diverse a family can be. Have a larger sized gathering in mind? 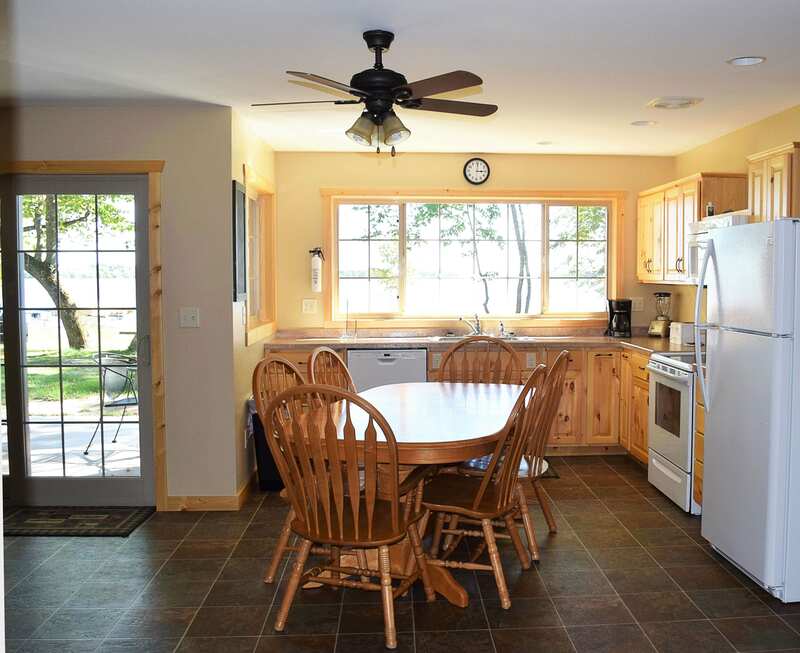 Canary Beach Resort regularly hosts unforgettable family reunions, parties and celebrations, snowmobile groups, fishing/ice fishing groups, religious retreats, crafting extravaganzas, and holiday getaways. We're Open All Four Seasons! Summer is just one of four perfect seasons for a family vacation at Canary Beach Resort! 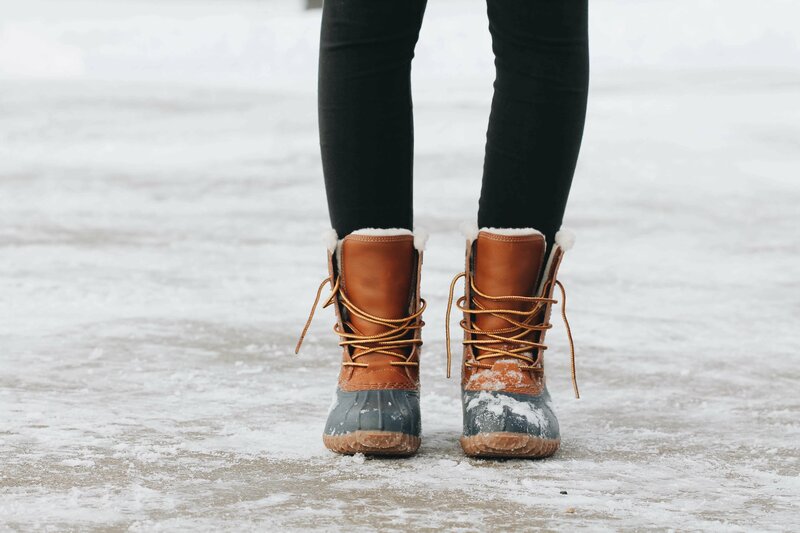 Spring, fall, and winter are ideal for hosting cabin getaways, scrapbooking retreats, fishing trips (including ice fishing in the winter), girls/guys weekends, snowmobile trips and cross-country skiing excursions. Eight of our ten lakefront cabins are newly built, exceptionally spacious, and available for our guests year-round. We’ve designed our modern cabins to ensure you have room for all your family and personal belongings, with the amenities and comforts of home. Our new 2,100 square foot multipurpose Event Center offers a convenient, versatile venue for a variety of gatherings and celebrations of up to 100 guests. We have one of the finest natural beaches in Minnesota. It’s a thousand feet of sandy shoreline that’s ideal for basking in the sun. Kids, and adults for that matter, find it perfect for building sand castles. There are also water toys, and a lake slide that will give you a thrill. 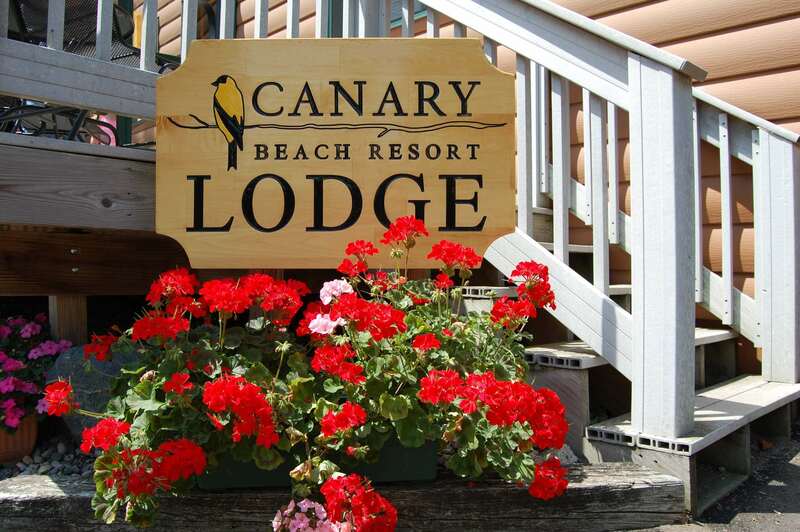 Canary Beach Resort offers the nicest, newest accommodations around. Most of our guests take the time to check out all the resorts in the area while here on vacation and they all agree — Canary Beach is the best value. The size and quality of our accommodations are hard to beat! 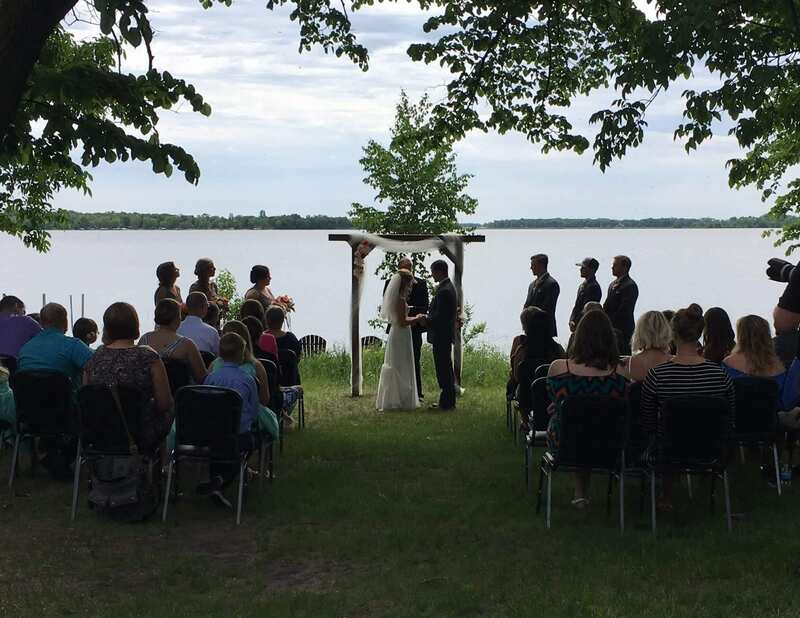 We’ve hosted it all… family reunions, birthday parties, bachelorette getaways, bridal showers, baby showers, vendor events, religious services, scrapbooking and crafts retreats, potlucks, art nights, surprise parties, graduation parties, and weddings. Our resort grounds and Event Center are the ideal setting for a great variety of special events. Just let us know what you have in mind and we will do our best to exceed your expectations! 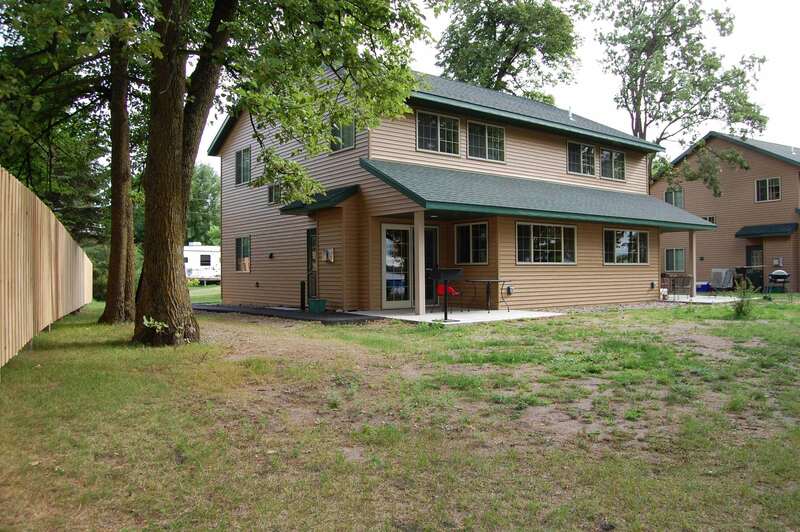 The cleanliness of our grounds and cabins is our priority. We are fanatical about keeping all things clean and groomed, and it shows. One of the most common compliments from our guests is how much they enjoy our immaculate property and facilities. 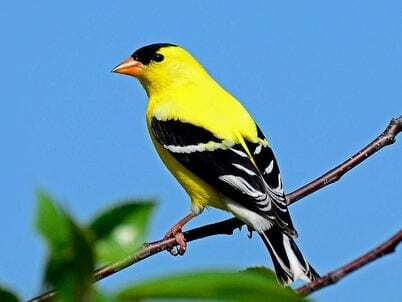 Canary Beach Resort was named after the American Goldfinch. This perky yellow bird seems to have made Canary Beach Resort home. Many guests have mistaken these “wild canaries” as dandelions that move around in small flocks. You can listen for them to twitter during flight as they appear to move like a roller coaster. 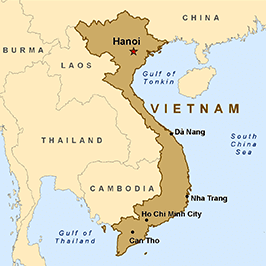 There is also a Canary Beach resort (no affiliation) on the other side of the world, in Phan Thiet, Vietnam. For a few moments, our guests have confused us with the terrific beaches on the Canary Islands. But then the guests realize they are in Minnesota at one third the cost!